--Pre-wound Bobbin Thread -- . 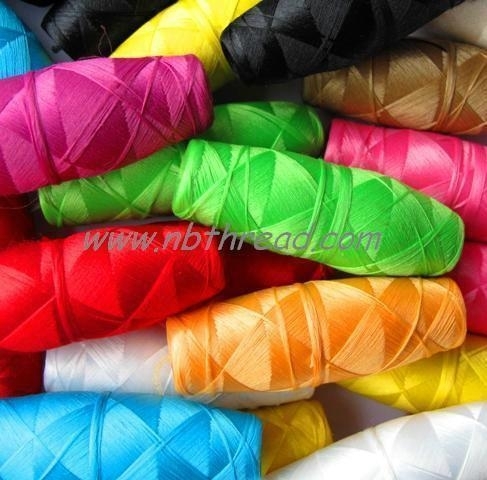 ---Used for computer multi-head embroidery & sewing machine back yarn, these are an excellent value for embroiders looking to save time. it realized to consistent draw-off tension from beginning to end through reduces friction, static charge. It means less downtime and protect the thread from breaking on today's high speed equipments..
- A-size: Plastics sides (105M). - M-size: Sideless (230M) . High tenacity yarn: Polyester filament 70D/2. Color: white or black. 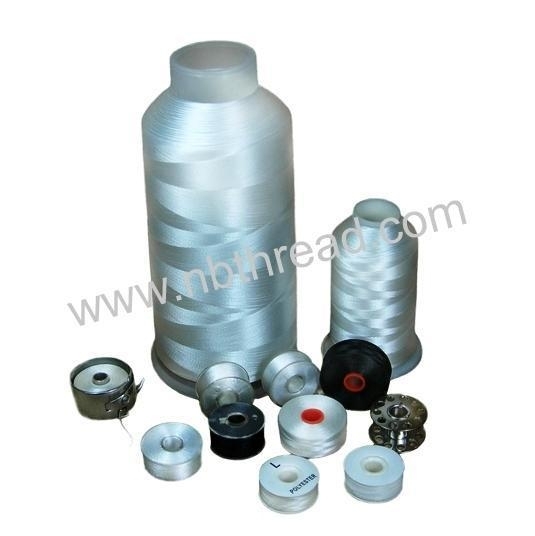 Mid tenacity yarn : Polyester Filament 75D/2. Color: white or black. Nylon: 70D/2, 210D/2, 210D/3, 420D/1, 630D/1, 840D/1.... Color: white or black. Spun Polyester 60s/2. Color: white or black. --- Packing: 100 or 144pcs /inner box, 40box/carton.